The grey squirrel is a common pest that comes into loft spaces and attics causing damage. They can gnaw through electrical wiring and things of sentimental and personal value. 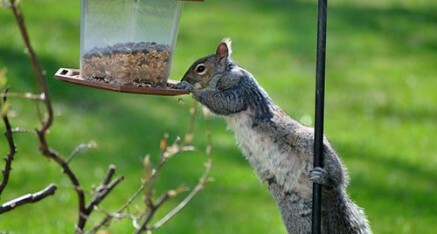 A grey squirrel has a very large appetite. In a weeks time it eats a quantity of food that is almost equal to its own body weight. 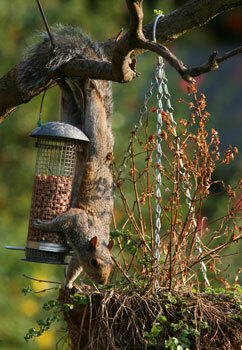 Bird feeders are a favorite way of adding to there diet. Squirrels have sharp teeth and need to constantly gnaw to keep them from over growing. Apart from their favourite food of nuts they also eat insects, fruits, seeds, small birds, buds, flowers and even the bark off trees. Squirrels do not hibernate. They like to stay somewhere warm such as your loft, making a nest there, they are commonly mistaken with rats in the loft or birds. Grey squirrels are a non native species in the UK and put pressure on our native red squirrels spreading squirrel pox and pushing them from there natural coverage area’s. 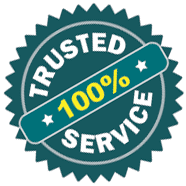 If you need squirrel pest control please contact us via the contact form. Main towns covered are Hartlepool, Billingham, Stockton on Tees, Thornaby, Middlesbrough, Yarm, Darlington, Stokesley, Sedgefield, Northallerton, Peterlee, Spennymoor, Seaham, Durham, Redcar, Skelton, Whitby, Guisborough, Thirsk, Bedale including all surrounding areas.